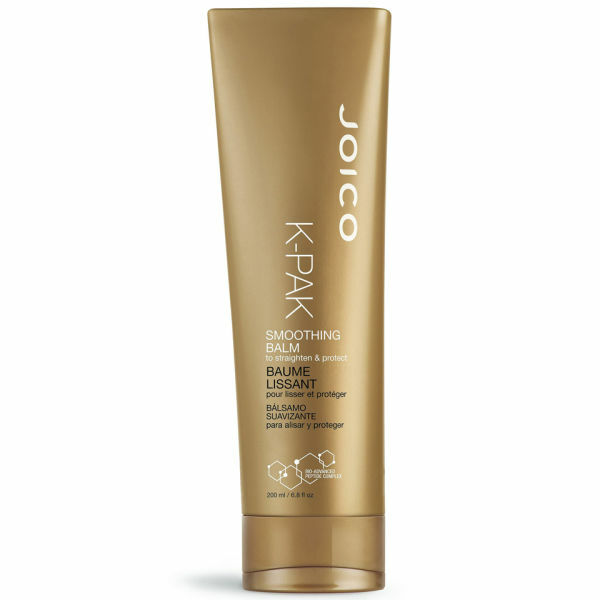 Joico's K-Pak Smoothing Balm is a heat-activated styling formula that promotes sleek, straight locks. Known as 'flat iron in a tube', the smoothing hair product expertly tames frizz and delivers a veil of protection to keep hair safe from humidity. Its heat-activated Keratin Silicone Complex effectively seals the cuticle, keeping strands safe from humid, frizz-causing conditions. Expect soft, sleek and luminous tresses.